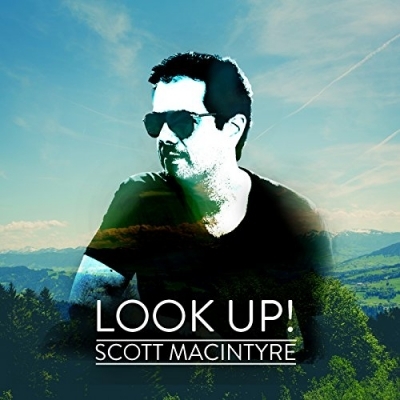 Former American Idol contestant Scott MacIntyre has released his new single 'Look Up!'. Blind from birth and a two-time kidney transplant recipient, Scott MacIntyre knows what it means to trust God’s plan in the midst of adversity. Co-written with Ben Calhoun of Citizen Way, “Look Up!” encourages listeners to look beyond the mountains and valleys of life to see a God who is sovereign in every situation. Read More Former American Idol contestant Scott MacIntyre has released his new single 'Look Up!'. Blind from birth and a two-time kidney transplant recipient, Scott MacIntyre knows what it means to trust God’s plan in the midst of adversity. Co-written with Ben Calhoun of Citizen Way, “Look Up!” encourages listeners to look beyond the mountains and valleys of life to see a God who is sovereign in every situation. Scott was first diagnosed with stage-four kidney failure at nineteen years old, and after becoming extremely ill, he began emergency dialysis. In June 2015, Scott underwent his second successful kidney transplant and has since made a full recovery. The following year, he and his wife Christina welcomed their first baby into the world - Christian Scott MacIntyre, born September of 2016. Their story is recounted in the new documentary film, I Am Hope: Scott MacIntyre’s Inspirational Transplant Journey, Now streaming on Pure Flix.